Unicorns, Tampons and other Girly Things: YES! NO! YES! NOOO! What was I thinking? YES! NO! YES! NOOO! What was I thinking? 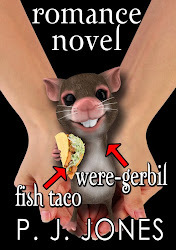 What WAS I thinking when I wrote this story? Eghads! I'm pretty sure I just sealed my fate in hell (or at least a really sucky version of purgatory). Okay, peeps, I PROMISE I won't write anything cruder than this. LOL! 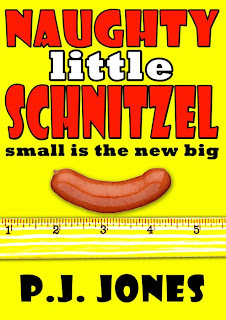 I'll release the blurb when Naughty Little Schnitzel comes out on Smashwords FOR FREE soon, hopefully a few days with a little luck from the SmashGods. And, yes, do judge the book by the cover. My parody of adult film stars REALLY is THAT bad! FLABIO has his own FB fan page! THE VAMPIRE HANDBOOK is OUT!! !